Protect residents, family, and guests in your home or residential facility with Safeguard Anti-Slip Covers. Upgrade danger zones such as steps, walkways, and ladders to reduce slips-and-falls. Select from six grades of grit size, including Residential and Barefoot, and choose from an array of colors to complement your decor. 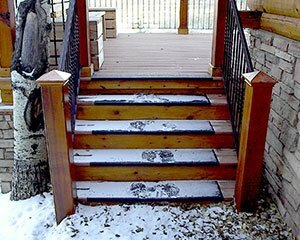 Specify Safeguard® Hi-Traction® Anti-Slip Covers for new buildings or retrofit indoor or outdoor stairs, outdoor decks, entryways, and more. As members of the US National Apartment Association (NAA), we support the efforts of multifamily housing professionals. Safety improvements can be quite attractive. Enhance décor with Safeguard’s premium color options. 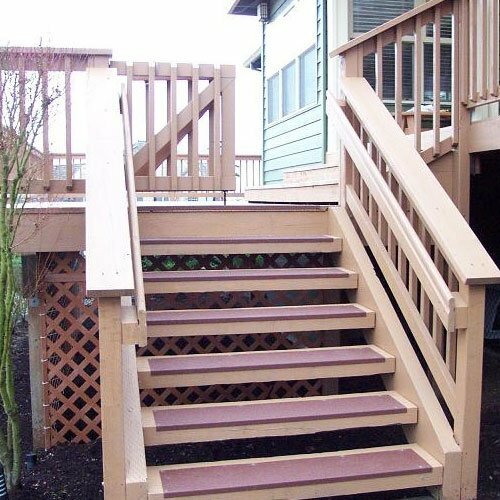 Residents and guests will know that their safety is a priority when stairways are made safer with Safeguard Anti-Slip Covers. 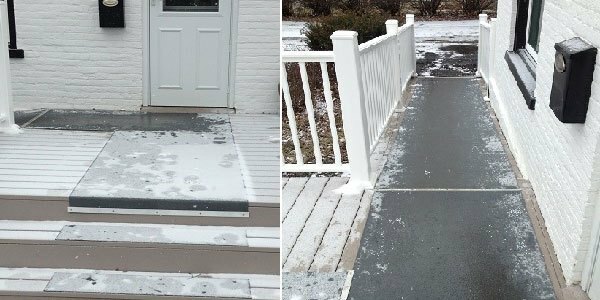 Entryways are made safer even in wet and snowy conditions. Our surface exceeds the anti-slip requirements of both the OSHA and ADA standards. 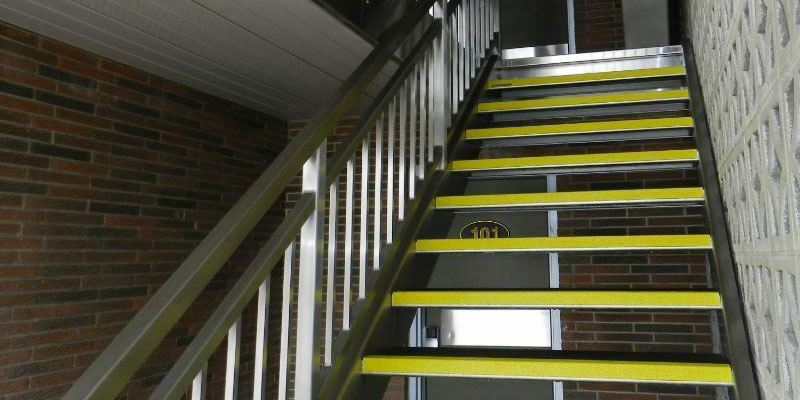 Meeting the needs of facility residents and staff means providing effective slip prevention. Temporary tapes and paints become worn and slippery over time, requiring repeated scraping and replacing, while Hi-Traction® and HiGlo-Traction® Anti-Slip Covers last for years. Slip-and-fall accidents are a leading cause of costly emergency room visits and hospitalizations. 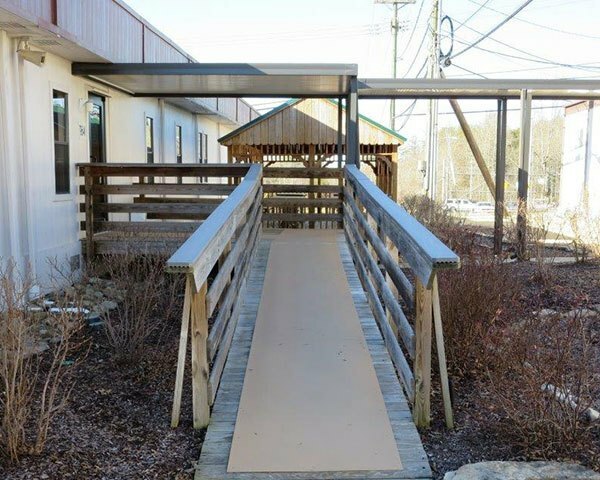 Wheelchair ramps and pedestrian walkways are an area of concern, particularly in nursing homes and assisted living facilities. In some localities, ladders installed in elevator shafts are required to have anti-slip protection on the rungs. 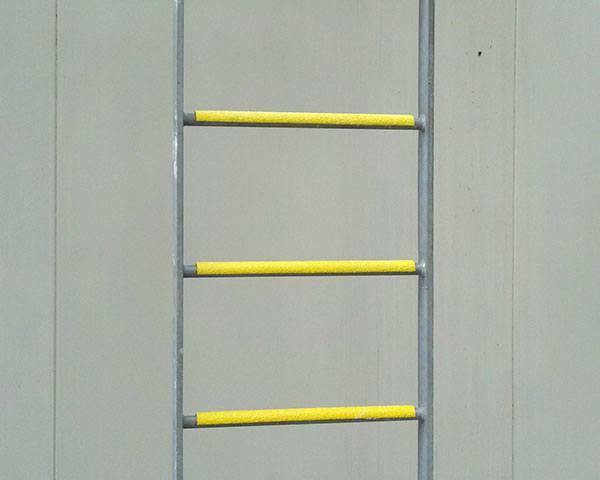 Safeguard Ladder Rung Covers can be added to permanently fixed ladders, indoors or out.